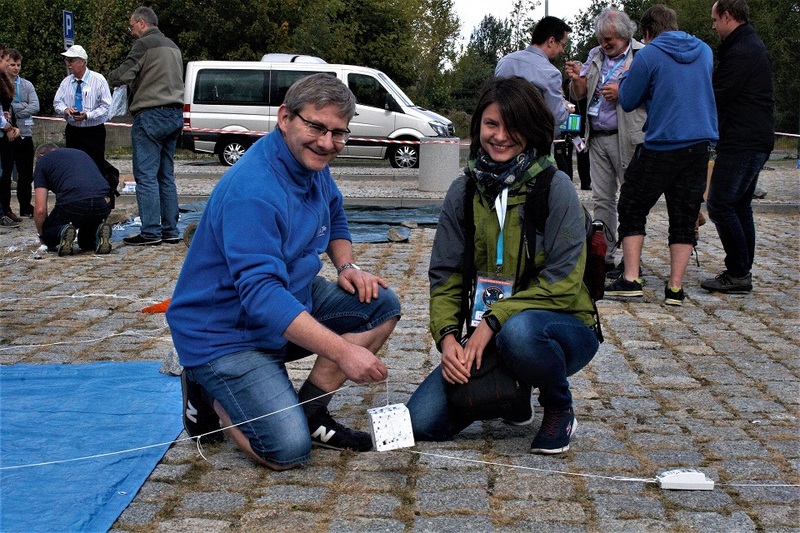 On 22nd September, Saturday, during an international conference Near Space 2018 in Toruń, a weather balloon sent a capsule with specially adapted set of two educational detectors CosmicWatch into near outer space. The capsule was prepared by scientists from National Centre for Nuclear Research. 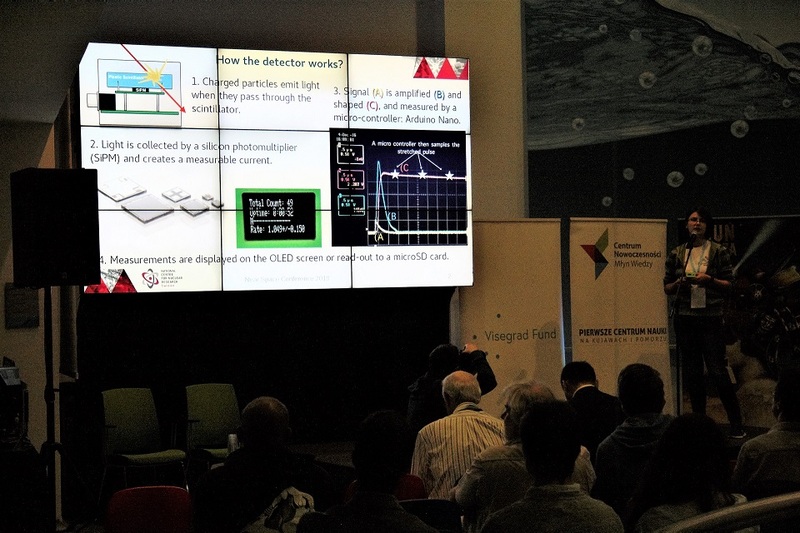 „Our goal was to acquire data showing how cosmic radiation intensity changes with altitude” – explains Dr Armand Budzianowski (NCBJ), who was a spiritus movens of the whole project. „Passing the Armstrong line and achieving near outer space was possible with free flight of an unmanned balloon. The balloon reached stratosphere at an altitude of approx. 32 km. There, following the expectations, difference in pressures inside and outside of the balloon resulted in its rupture. From that moment, the capsules with equipment were freefalling on a parachute. Location of the capsules was being constantly monitored with aid of telemetric data transmitted via radio waves, while data acquired by detectors while in flight was stored in the device’s memory, which was read on ground”. The project was mainly educational. The set, which ascended higher parts of atmosphere was measuring the intensity of cosmic radiation, which, after extraction and comparison with parameters of the flight can project the change of the radiation with altitude. CosmicWatch detectors register mainly highly energetic muons, which are produced in the atmosphere. They are unstable elementary particles with properties similar to electrons, but they are over 200 times more massive. Cosmic muons are known to scientists for over 80 years and are among the most thoroughly researched particles. The gathered data is relatively easy to compare with theoretical predictions explaining the process of production of individual parts of cosmic radiation. Because of this it can be beneficial to use this data in education on elementary particles and radiation. A group of NCBJ employees is involved in the project. They combine their personal passions, such as photography, ballooning, electronics, shortwave radio and science popularization, with scientific activity in the institute and aid us in our educational mission. CosmicWatch project, which has been under constant development for many years, is a collective work of Katarzyna Frankiewicz (NCBJ) and Spencer N. Axani (Massachusetts Institute of Technology – MIT), and not long ago Bartosz Maksiak (NCBJ) joined the team. Originally, the detectors were created as cheap teaching aid for schools and universities and are used, for example, in NCBJ Education and Training Division. 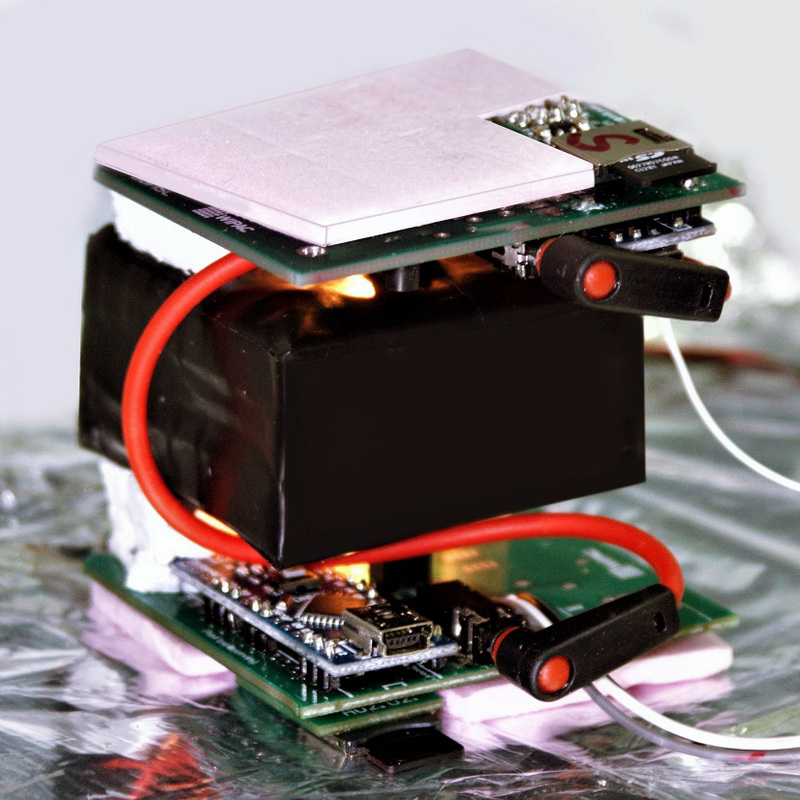 The adaptation of detectors to stratospheric balloon flights have been designed by Armand Budzianowski and Andrzej Bigos. 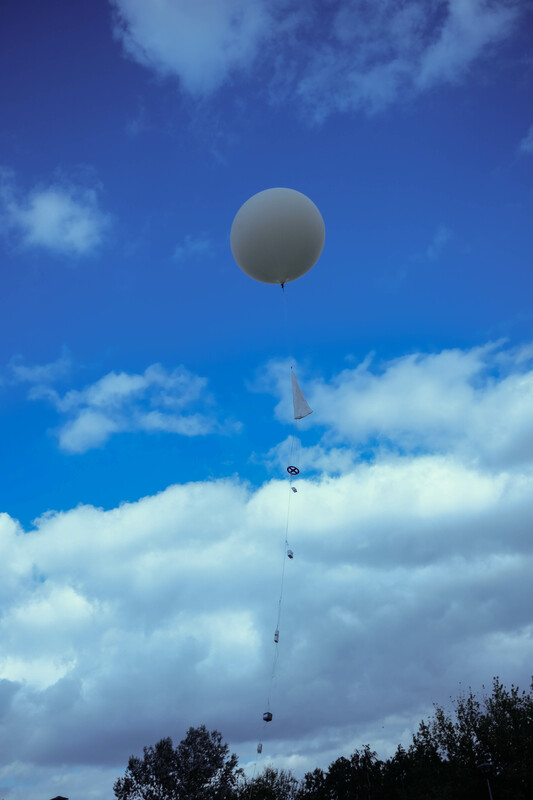 The changes consisted mainly of decreasing the weight and providing the electronics with suitable temperature even when the balloon is many kilometres above the ground, when the temperature drops below -60 degrees. 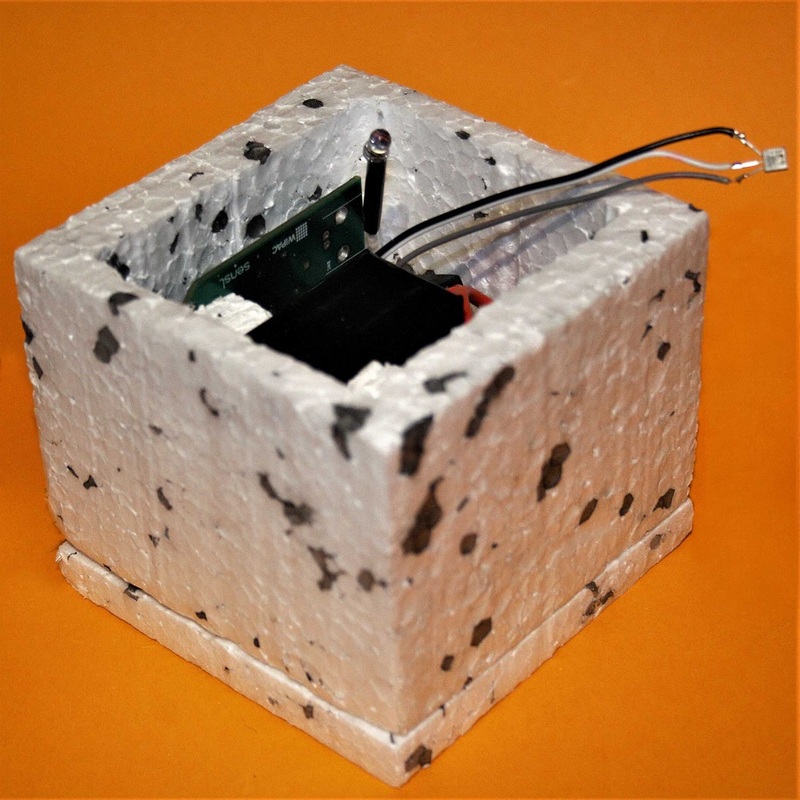 The device was placed inside a Styrofoam capsule of dimensions 10x10x10 cm (a standard for miniature artificial satellites cubesat 1 U), which, along with the contents, weighed less than 300 g.
The Saturday flight was one of the events accompanying 3rd international stratospheric conference „Near Space”, organized in Modernity Centre „Mill of Knowledge”. The event was organized within the framework of „Citizen Science Close to Space” project, funded by International Visegrad Fund. Authors of the project are: Modernity Centre „Mill of Knowledge” and Foundation „Copernicus Project”. 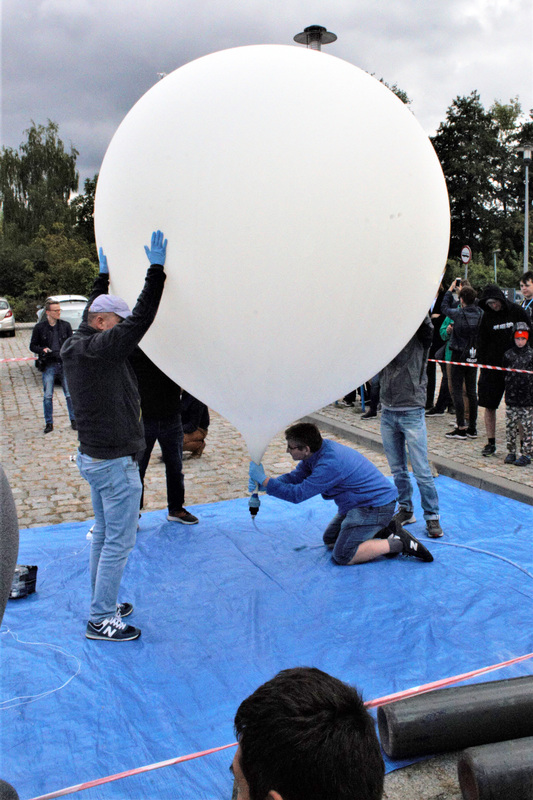 Organizing of the over-30 km flight and later collecting the capsule was possible thanks to the commitment of Foundation „Copernicus Project”, DNF Systems and shortwave Emergency Communication Club SP6ZWR from Wrocław.